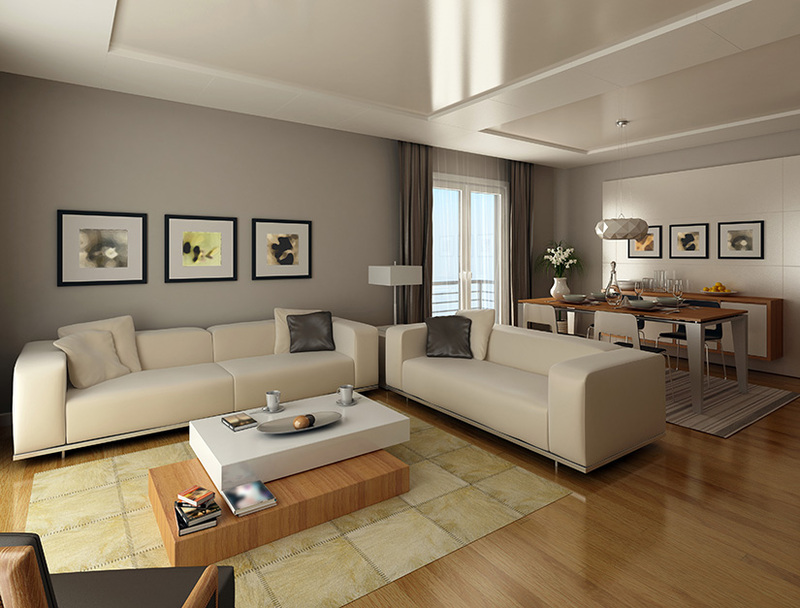 A large living room can give you a great deal of space to work with but using that space properly can be a challenge. If you’re feeling cold in your living room, there are many ways to make it cozier. Filling space is important, but it’s a lot more about directing the eye where you want it, rather than filling the room with furniture. 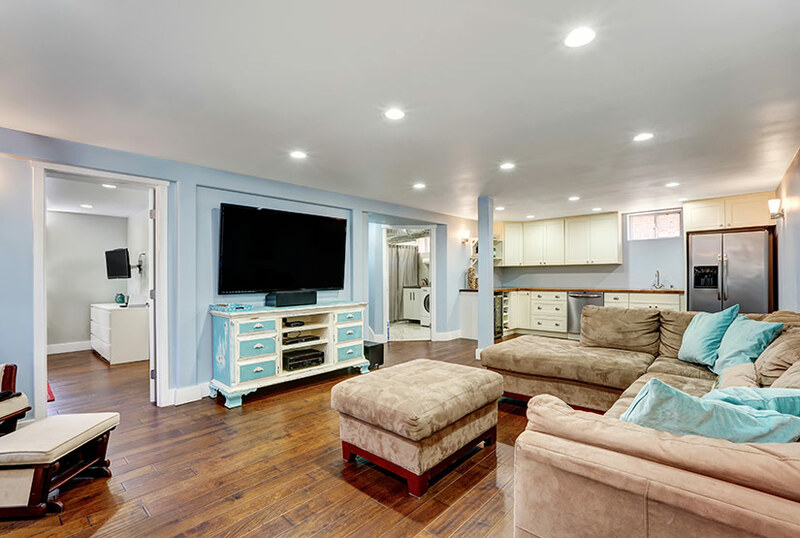 There are three easy steps to having the perfect large living room. Try separating different areas, picking appropriate furniture size and having proper placement, and choosing the best lighting and colour for your living space. You can see a dramatic improvement with just a little change using any one of these steps. Because we spend so much time in living rooms, the first step is to divide your space into zones: functional spaces where people can work and play. A lounge, a home theatre, or a card table are just a few zones you can choose, but you should have areas based on what you usually do. Play with size and give each part the right amount of space for their function. How do you divide space in an open living room? Anything from half walls and pillars to furniture and rugs can separate living space, if done right. A couch can work as a divider, especially when used with a small thin table behind it. It’s an illusion to your eye, to make a room feel cozy as opposed to cluttered. Once you’ve separated the space, what should go between couches? Tables work well, but ottomans are the perfect alternative to a hard coffee table. They can make your large living room more comfortable and fill gaps in your furniture. If you decide an ottoman is best for you, choose a colour and upholstery type that matches the rest of your furniture. Though having décor and smaller pieces of furniture in your living room can be important, there should be a few anchor pieces in your room to bring the space together. If all of your furniture is short, you are leaving a chunk of available space unfilled. If much of it is tall, you’re just filling space. Find a balance with bookcases, shelves, or even plants. Try to vary the size of furniture. Filling the space in your living room isn’t about filling every corner with furniture. Having open areas to walk and breathe are just as important and will look much better than an overstuffed room. Your eye will thank you when it isn’t trying to focus on a hundred things at once. An organized living room is less stressful to look at and more inviting. No matter what furniture you choose, it should not sit against the wall. Having a lot of open space in the middle of a large living room is not as flattering as you’d think. Use artwork, shelving or mounted décor to fill the wall. Use tall and short furniture to fill the living space. Colour is a powerful tool. The right paintjob can make a large room look cozier. With a high ceiling, painting your ceiling a shade or two darker than your walls will create a tighter room. Two-tone walls (painting a section of each wall) are also excellent for keeping ceilings low. As for lighting, you can layer your room with different sources of light or be more selective. Use floor lamps, table lamps, wall-mounted lighting and chandeliers to brighten up a room. How much natural lighting you have is certainly something to consider when considering your options. 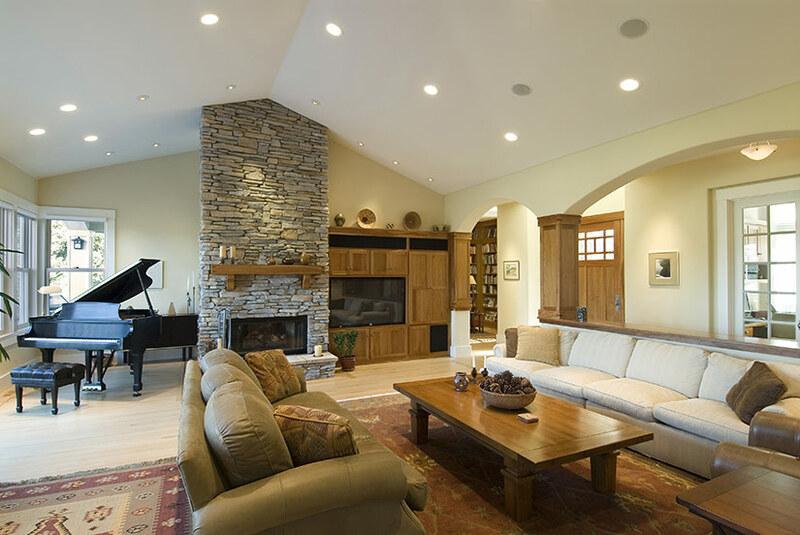 Filling out a large living room may seem difficult, but at A Guaranteed Fine Furniture, we’re here to help. If you have any questions, please visit us and allow us to help you find the absolute best living room set for your living area.